First off, why is service management important? In the wake of digitization, we see a lot of disorganization and operational inefficiencies in business process environments. As enterprise organizations and service providers attempt to cope with rapid technological growth and advancement, a reactive approach to these changes is often chosen over one that is strategic and proactive. By constantly reacting to developments in digital transformation, chaos can be driven by a variety of technology initiatives. Tech sprawl, silos, and lack of transparency across various projects can negatively impact how enterprises and service providers deliver solutions. Service management methodology is needed to address these issues and provide a framework that offers structure to processes, decision-making, budgeting and service level agreements, all while delivering a better customer experience. Why is there a tech sprawl and how can service management help? Tech sprawl occurs when organizations rapidly expand existing operations and deploy more technologies to improve service capabilities without considering the importance of standardization and transparency. Based on employee requests or customer demands, a service can be offered in many different combinations, creating more work for IT to provision and support. Simply put, too many choices often perpetuate technology sprawl. Service managers can correct issues resulting from tech sprawl by first examining the number of services are offered within their catalog and identify how these are used. Through an audit, it can be determined that three configurations of a server can meet the needs of a majority of the users while significantly improving costs and efficiency. The services need to be defined, standardized, and in some cases, deactivated if no longer serving a useful purpose. As you engage with enterprises and service providers, do they understand the value of service management? Many organizations will claim to have service management in place, but compared to what they actually have, there is a void. A majority will use the ITIL methodology and leverage ITSM tools to automate processes, but these are seldom connected and orchestrated. The right people and tools may be in place, but there is an absence of guidance and methodology. This is the root cause of inefficiency. Adding in the technology sprawl and silos, this adds another layer of complexity. In order for service management to deliver value, the strategy, personnel, tools and processes must all be integrated, creating a transparent view built on standardization. Can you describe the bluEDGE approach to service management at a glance? At a high level, the value chain lies at the core of service management. Whether it’s IT, telco, or data centers, enterprises and service providers must first define what products are offered, of course leveraging feedback from users and customers. The same goes for public and enterprise markets; the relationships are equal. Value is created in product development and communicated through proper presentation. Real service is provided over time across different levels. Though the customer should have an investment in certain processes, they should only be focused on the outcome and not the technical details. For example, if they need access to an application, it is up to IT to provide such a service, offering simple and scalable solutions without technical complexity. bluEDGE’s approach embraces three essential pillars when it comes to service management: methodology, organization, and tools. Having the proper methodology means strategizing a plan of action. Think first and act second. Plan processes in advance and create a holistic method that can be made transparent and standardized. In terms of organization, you need the right team of people that wants to achieve the same goal. If your personnel lack the proper qualification to execute desired operations, this will create confusion and interrupt service levels. Once the methodology and personnel are in place, having the tools needed to properly carry out processes is paramount. Using improper tools will only disrupt the fulfillment of services. What are some common pains associated with service provision? There are a few notable pain points that need to be addressed by service managers. First is to cease working in silos and create a common language and symbolism across systems and processes. This will allow a standardized workflow. Oftentimes, lacking a product catalog can also disrupt product development operations. This is due to a lack in standardization. This creates confusion as each order should be managed through a well-orchestrated catalog, instead they are often delivered as individually customized products. While customization can be delivered, certain parameters must be defined so enterprises and service providers can efficiently fulfill orders. Improper service architecture is another prominent pain point. Services must be combined modularly to form solutions, but if there is no blueprint for this, then there is no direction. Planning and then acting will always enable IT to keep pace with the changing needs of business. What are the common causes for these pains and how can they be converted into measures? The issue is that many companies recognize the need for service management, but they do not plan accordingly. Rather, the common next step is to start initiatives that are oriented on the standards of implementation. This implementation focuses on a few select processes and lacks a holistic point of view. Oftentimes, this is because the solutions are designed to only solve individual problems for single or few departments within a company or set of customers. This tactical and reactive approach creates complexity that leads to inefficiency. To avoid these disruptions, there needs to be a proper business architecture set in place with the realization that successful service management is a mindset and not a technical issue. Place top priority on establishing proper planning and methodology. What advice can you offer to get started with service management? We work with clients to first create a business model canvas. This includes a strategic focus on the value proposition and creating a product catalog to standardize operations. 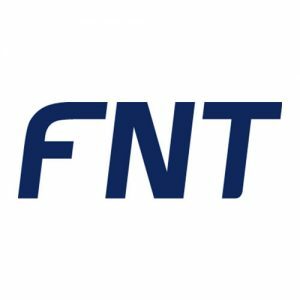 The best way to start is to define two or three services, then utilize a tool such as FNT ServicePlanet to manage the catalog. In my experience, when you define a product, the value offered in the description allows customers to make intelligent choices and visualize the benefits. Once a product catalog is defined, organizations can begin to move other services into it. A common mistake is to migrate all services at once; this will take a long time to complete. Small sprints, built on standardization and interconnectivity will provide near-term results much faster, plus deliver the understanding that can be applied to other services. It should also be noted that, while technical knowledge is important, it is only part of the service lifecycle. Selecting the right people to apply their knowledge to the established methodologies and equipping them with the right tools will create proactive, strategic approach to service provision.